It is relatively easy to drive to Bagni di Lucca. The roads from Lucca are fairly well signed. Click here for a blow by blow description of the drive. The next best way to arrive in Bagni di Lucca is by bus. Buses leave regularly from Lucca from Piazzale Verd. CTT buses are usually blue ( although there is an occasional white one) The bus from Lucca to Bagni di Lucca will take between 40 and 50 minutes. They leave from bus stop 8. (Please check this at the office, things change) You can buy tickets and get bus information at the ticket office. Ask for a ticket to Bagni di Lucca. The name means Baths of Lucca. It is pronounced Bahnyee di Lucca, not Bagknee di Lucca. From Florence airport is is possible to catch a CTT bus to Lucca, then change for Bagni di Lucca. The bus stop is just outside the airport on the main highway. There is a bus shelter there and you would need to flag the bus down. From Pisa airport there is a direct CTT bus to Lucca, and then change for Bagni di Lucca. Walk outside the airport and look right. The bus stop is not clearly marked, but with a bit of luck you will see waiting buses. You can buy a ticket to Lucca at the office inside the airport to the right of the arrival area. You will need to buy a ticket to Bagni di Lucca in Lucca. Go to vaibus.it for timetables. 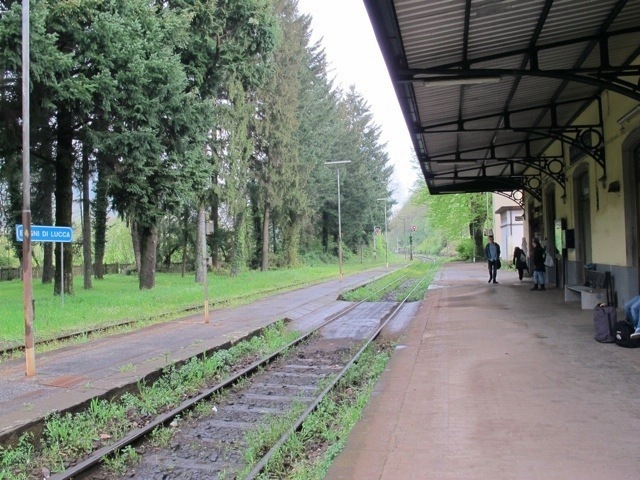 It is also possible to catch a train to Bagni di Lucca. It will take about 25 minutes. 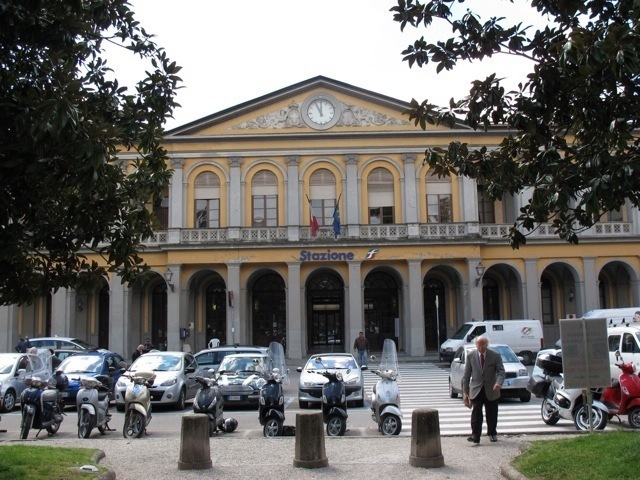 The final destination is not Bagni di Lucca, look for a train to Aulla or Piazza al Serchio. 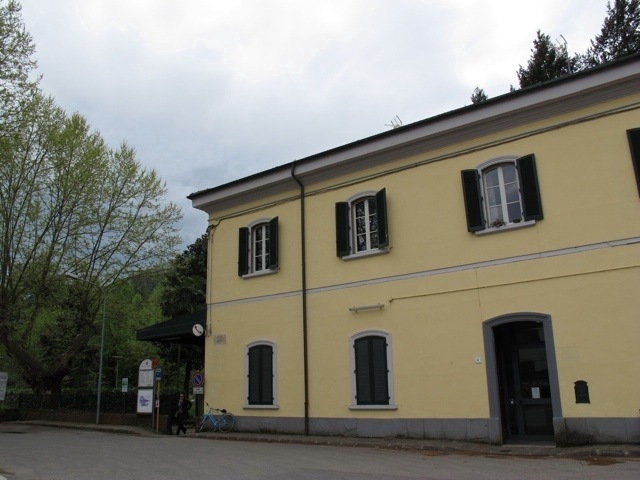 The station is at Fornoli, which is the first of the 3 villages along the river. There is a bus stop in front of the station, but the buses almost never connect with the trains…you are in Italy. When the bus finally comes it will take you to Ponte a Serraglio and La Villa, the other 2 villages beside the river. Go to Trenitalia for more information. There are many more villages scattered throughout the mountains. These are much more difficult to get to by public transport. If you are staying in one of these villages you should do a bit more research about getting there. Check with your accommodation for suggestions. 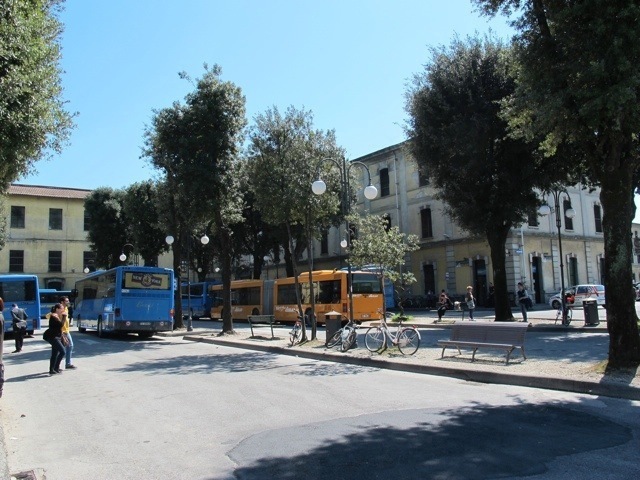 There are taxis outside the station and bus stop in Lucca which will take you to Bagni di Lucca. It will cost around €50. To get a taxi from Bagni di Lucca train station is not so easy, you will need to book ahead for this service. Try Marco Nicoli at (39) 333 1315430. Once again, make enquiries through your accommodation. Click here to enquire about hiring a car in Bagni di Lucca.